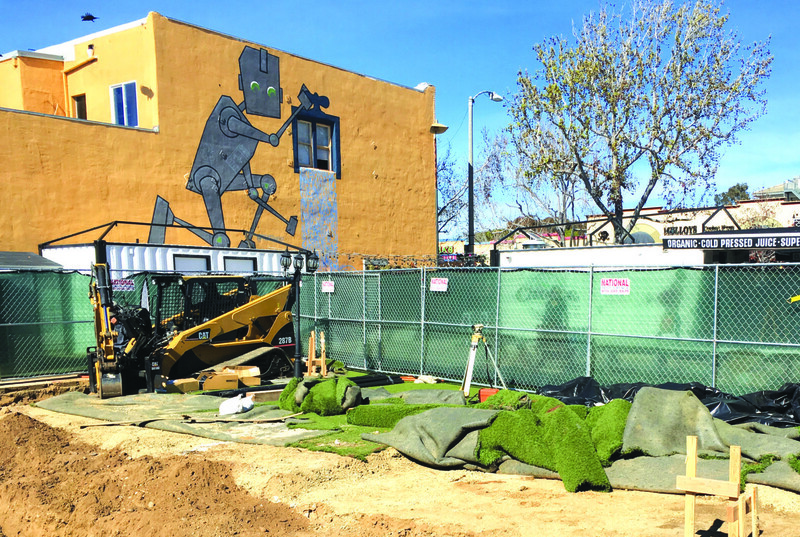 CARLSBAD — A four-story mixed-use project in Carlsbad Village was denied after coming back before the City Council on March 27. The Carlsbad Village Center proposal was defeated 2-1 with council members Keith Blackburn and Cori Schumacher voting against. Mayor Matt Hall recused himself for a conflict of interest and Councilman Michael Schumacher (no relation) was absent. Blackburn was the swing vote as he also voted against the project in February, which resulted in a tie, forcing the project back to the council for a final decision. Blackburn said he loved the building and its concept, but it was too overwhelming for the southwest corner of State Street and Carlsbad Village Drive. The site currently houses Choice Juicery and two other soon-to-be installed containers, which will be a bar and seafood burrito concept. The project, though, was revised shedding about 400 square feet with a reduction on the ground floor retail space. In addition, the request of the number of parking-in-lieu fees dropped from 17 to 13. Blackburn requested that the owner, Leor Lakritz, attempt to make the project more visually appealing looking from west to east. One of the architects, Kirk Moeller, said the added ground floor space could accommodate outdoor dining and a third-floor change opened up the space to some degree, although many residents disagreed. Cori Schumacher, meanwhile, said through the Village Master Plan one- to two-story buildings is what has been called for on State Street. She also consulted with residents of the Village, relying on their knowledge of the area and noting the scale and scope is not consistent with the adjacent buildings. “For this part, I cannot make the findings,” she said. More than a dozen residents spoke with only one for the proposal and one was neutral. A common theme for those against the project was the building did not fit with the style and was incompatible with the Village. Some railed against its height, which would be 20 feet higher than the adjacent buildings. The topic of compatibility is subjective with no clear definition, said Carlsbad City Planner Don Neu. Additionally, historical concerns were raised, but Neu and Carlsbad Project Planner Shannon Harker said the site has no such designation including from the California Environmental Quality Act. Councilman Mark Packard was the lone supporter.